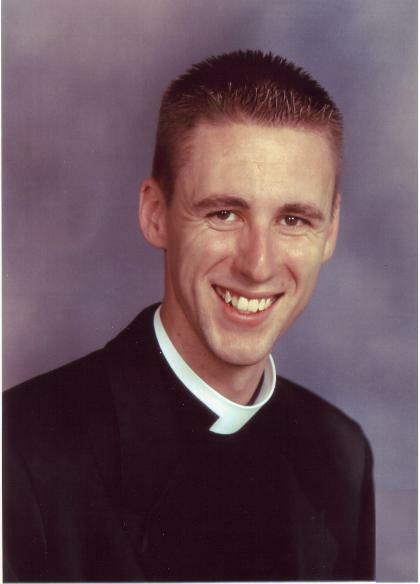 Rob joined St. Mark's as Rector (Senior Priest) in July of 2014. Rob was born in London Ontario and has conducted his entire ministry in the Diocese of Huron at the Lakeshore Parish in Bright's Grove and Camlachie, and then at St. John's in Leamington. Rob's passion is to teach the faith and invite others to know God's love at work in them and through their faithful actions. Rob enjoys family life with his wife Trisha and their two children Rebekah and Jacob. In the name of God and on behalf of the parish I would like to welcome you to St. Mark's by the Lake Anglican Church. If you are a visitor, we would like to treat you like family and if you are potential parishioner, we would like to welcome to you to our family. What you will find when you arrive is a group of people who are committed to walking the walk and talking the talk of faith. You will find a group who are interested not just in worshiping almighty God, a wonderful thing in itself, but who are also interested in serving God in the community. This is a dynamic parish, full of a life and vitality, which can only come from God. As a parish we know the good news of Jesus Christ, we tell the story and engage in the work that we've been called by God to do both inside and outside the walls of the church. St. Mark's is located in the St. Clair Beach area of Tecumseh and has been for over fifty years. This is a faith community that has changed over time, with lots of people coming and going, but what hasn't changed is that it is a church where people from all walks of life, rich and poor, old and young, men and women, gather together to sing, pray, rejoice and build one another up in Christ. It is a community of faith where people look out for one another and care for one another. It is a community where all are welcome to gather and enjoy worship, fellowship, and faith. Out of this care, love, and community, springs a compassionate and loving interest in the wider Windsor-Essex community. We support a variety of outside organisations that work to help those in need in our community to enable them in their important work. Throughout the entire year there is always lots going on; we worship, we learn, we help, we work, we practice, we teach, we visit, we eat, we drink, we receive the blessings of God and we share them with our neighbours. We invite you to join us in all this so that you will know the abundant life, joy and peace that we know because of God's work in our midst.